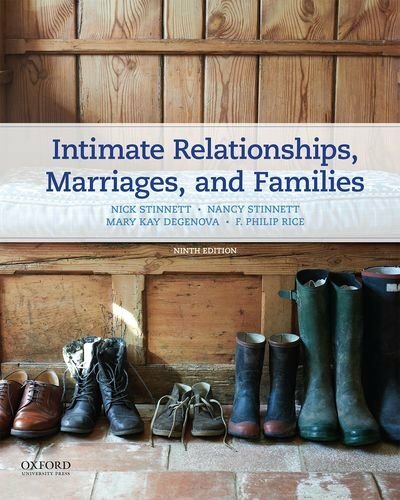 190278579 -Now fully revised and published by Oxford University Press, Intimate Relationships, Marriages, and Families, Ninth Edition, is an accessible, comprehensive introduction to marriage and family with a focus on strengthening families and effective coping strategies. This text combines the most current research with an emphasis on family background and diversity. Each chapter concludes with a section on public policy and critical-thinking questions.